Smallish but with very creative proposals within the complex world of pastries. 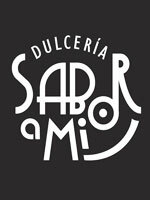 Sabor a Mí surprises for its delicious coconut candies, cold balls chocolate, strawberry cheesecake, cakes, filled cakes, sponge cakes and more. Most of his current recipes are based on ancient and handcraft formulas, representative of Cuban and international patisserie.